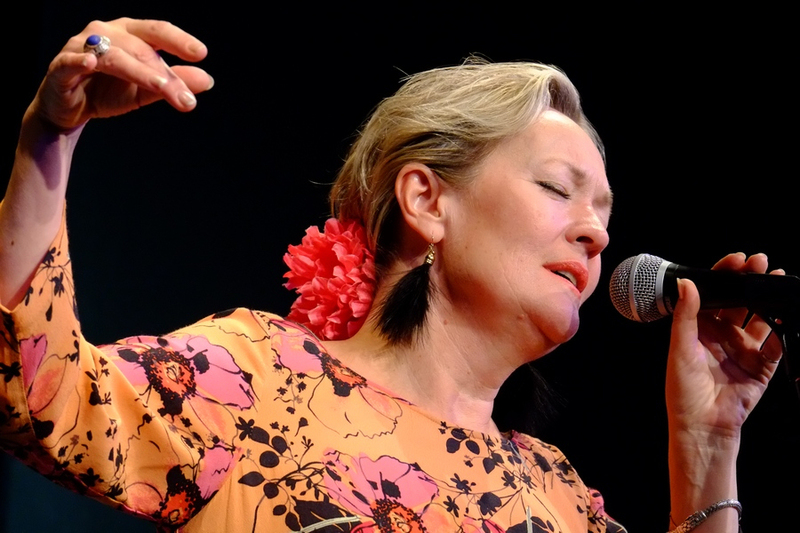 Sunday sow Newport Jazz Club treated to one of the finest vocal performances ever seen at the Apollo Theatre when songstress Liz Fletcher made her jazz club debut. Born into a family of musicians, her mother sang in The Sound of Music for six years and Liz has grown up with a love of the music of Julie London and Peggy Lee, both of whom were represented on her 19-number set. Opening with Someone Exactly Like You, it was quickly evident the audience were in for a treat with her wonderful voice. She followed on with here first nod to the Jerome Kern songbook with The Song is You before leading the audience on a musical journey that not only encompassed the great songbooks but also showed she is a talented composer in her own right with aa number, Why?, drawn from her latest album, Liz. The concert was full of highlights and the strength of any singer is how they can use their voice as a solo instrument. It is also testament to the talent of her musicians that each was able to provide subtle solo backing to Liz's vocals. Showcasing their talents, we were first treated to a superb cover of Doris Day's Sentimental Journey where Liz was accompanied only by bassist Simon Thorpe. And if that was not enough, this was followed by Lady Be Good with only a drum accompaniment from Mat Homes before pianist Graeme Have provided the music for Alfie. Liz is a very expressive singer and the quote on her website - that she has heart, sensitivity and subtle control, she's the real deal - is, on the basis of her performance on Sunday, something of an understatement and it is hoped she will be back on the Island soon.